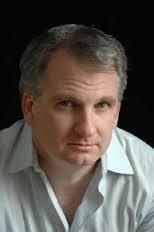 Best-selling historian Timothy Snyder has posted another screed on The New York Review of Books web site, his first in eight months, and it’s pretty much what readers of his 2010 bestseller Bloodlands: Europe between Hitler and Stalin would expect: a dangerous farrago of half-truths and non-sequiturs whose purpose, as I pointed out in a detailed analysis in Jacobin a couple of months ago, is to pump up the anti-Russian war fever now sweeping through portions of eastern Europe and the US. Seems like a fair question. But rather than answering it, Snyder uses it as an excuse to throw in everything from Hitler’s Anschluss to the Russian war of aggression supposedly now underway in the Ukraine. Where the casual reader might think that Putin was merely defending the pact in a tentative, half-hearted way, Snyder argues that he was attempting nothing less than to “rehabilitate the alliance between Hitler and Stalin that began World War II.” Putin is seeking a symbolic “rapprochement with Nazi Germany” in order to hook up with ultra-rightists bent on Europe’s destruction and, in the process, jettisoning “one of the basic moral foundations of postwar politics: the opposition to wars of aggression in Europe in general and the Nazi war of aggression in 1939 in particular.” Combining the worst aspects of both Hitler and Stalin, the Russian president thus wishes to turn the clock back to the nightmare years of 1939-41 – or so Snyder’s latest NYRB contribution contends. All this because of an offhand remark about a 75-year-old treaty. Based on the flood of excited messages on Twitter, it appears that there are a lot people out there who just lap this stuff up. But the spin that Snyder puts on Putin’s comments couldn’t be sillier. To begin with the treaty itself, Putin’s point is far from mistaken. As repellent as the idea of a military accord with a monster like Hitler might seem, the Soviets had every right to stall for time if it was to their advantage. This was particularly the case in the aftermath of the Munich Agreement just eleven months earlier when Neville Chamberlain and Édouard Daladier gave Hitler the go-ahead to dismember Czechoslovakia. The Soviets had offered to come to Czechoslovakia’s aid in the event of a Nazi attack, but the Anglo-French capitulation left Prague no choice but to throw in the towel. For Stalin, it was a sign that British Tories were giving the Nazis a free hand in the east and that the USSR would henceforth be on its own. Given their isolation, the Soviets can hardly be blamed for doing whatever was necessary to preserve their fighting capabilities. Putin was therefore not incorrect as far as he went. What he did not say, of course, is that if the Soviets not ready for a fight at that point, it was because Stalin had just finished decapitating his own military by executing scores of generals, admirals, and commanders in the Great Terror of 1937-38. He also neglected to mention that rather than taking advantage of the breathing space to build up his forces, Stalin dropped all mention of anti-fascism and lulled himself into the belief that Hitler’s promises were trustworthy. The result was one of the greatest blunders in diplomatic history, which is why, when Beria, Mikoyan, and other members of the politburo showed up at Stalin’s dacha eight days later, he assumed that he was about to be arrested and presumably shot. But since just about everyone already knows how the story things turned out, Putin probably figured that there was no reason to revisit such a painful topic and decided to leave it at that. Yet Snyder takes a tepid defense of a disastrous 75-year-old treaty and turns it into a blueprint for European conquest. Stalin wasn’t stalling for time, he now argues, but was actively seeking to turn German forces to the west so that “the inherent contradictions of the capitalist world would be exposed, and Germany, France, and Britain would collapse simultaneously.” By defending the 1939 treaty, Putin is making clear his intentions to do the same by hooking up with various elements opposed to European unification: “Just as Stalin sought to turn the most radical of European forces, Adolf Hitler, against Europe itself, so Putin is allying with his grab bag of anti-European populists, fascists, and separatists … [who] wish to bring an end to the current European order.” Putin, in Snyder’s view, is Stalin without the mustache. But he’s wrong on both counts. Stalin was not a grand strategist seeking to bring about the collapse of European capitalism, but a petty and provincial politician chiefly concerned with shoring up defenses in its own backyard, i.e. the Balkans and the Black Sea. As the Israeli historian Gabriel Gorodetsky notes in the most incisive study of the non-aggression pact to date, his vision extended no farther than that of Pavel Miliukov, the Liberal foreign minister who was Lenin’s archenemy and whose chief concern was maintaining control of the Bosporus. [i] Contrary to those who see him as an arch-revolutionary, Stalin’s outlook was actually quite backward, which is why he was so unprepared when a real revolutionary like Hitler came along, albeit a revolutionary of the right rather than of the left. Snyder is no less wrong about Putin. The man clearly has his authoritarian side. But rather than a radical rightist out to overturn the western order, he is an old-fashioned conservative struggling to hold things together at home under increasingly adverse circumstances. Perhaps the biggest problem he faces is not taming the oligarchs or diversifying an oil-dependent economy, but the old nationalities question. The Soviet Union was not a unified nation-state along French or Italian lines, but a multinational federation consisting of 176 nations and ethnic groups according to the 1926 census, all bound together under the rubric of proletarian internationalism. Such principles suffered repeated assault and battery during the Stalin years, yet somehow the system still held together. But when it finally came undone in 1989-91, the post-Soviet leadership found itself faced with the problem of what to replace it with. Since it couldn’t be communism or czarism, it had to be … what? With NATO and the US encouraging separatists in the Baltic, the Ukraine, Georgia, and Central Asia, something had to be done to prevent the structure from unraveling. If Russia had had a better government than the cumbersome bicameral legislative system that Boris Yeltsin foisted on the country during his alcohol-sodden reign, it might have managed the transition more democratically. But it didn’t, so a drift to some ill-defined authoritarianism was inevitable. This does not make Putin a fascist, merely a cautious politicians seeking to check such centrifugal tendencies and, in the international arena, return to the balance of power that pertained prior to 1989. This could change. Either he could lurch to the right in the event of a major politico-economic breakdown or a real strongman could push him aside, one who is much tougher and harder-edged. But for now, the best way to describe his actions is as wary and defensive. This includes his actions in the Ukraine. Western media reports notwithstanding, Putin did not encourage separatism. To the contrary, it was Ukrainian nationalists who encouraged it by hoisting the banner of the World War II collaborator Stepan Bandera, notorious for slaughtering not only Jews but tens of thousands of Poles, and pushing to downgrade the Russian language. Russophone elements in the east responded exactly as blacks would have responded in the US if giant portraits of Confederate General Nathan B. Forrest had suddenly gone up on Capitol Hill and a KKK-led mob had forced Barack Obama to flee the White House — in other words, with fear and outrage. Russian speakers wanted out of a ramshackle republic that was turning on itself and lurching toward civil war – and who can blame them? Putin did not invade the Crimea; he already had 25,000 troops there under a 1997 agreement giving him full access to Russian naval facilities in Sevastopol and other areas. Faced with a mass rebellion on the part of the Crimea’s overwhelmingly Russian-speaking population, he merely bowed down before a fait accompli and cleared the way for union with Russia. Indeed, the radicalism has been entirely on the other side. The insouciance of the US with regard to the growing fascist presence in the Euromaidan uprising that began last November has been astonishing. While passing out cookies on the barricades and posing for photos with Svoboda Party leader Oleh Tyahnybok, Assistant Secretary of State Victoria Nuland put out word that all those masked fighters with Wolfsangel insignias on their armbands – the same isignias that the Second SS Panzer Division used to wear, by the way – were of no consequence and that the Russians were wrong even to bring them up. In his latest post, Snyder similarly turns reality on its head by railing against Russia’s “grotesque claim” of a fascist threat. If the Russian foreign minister had called for the forcible breakup of the United States, Congress would be resounding with war cries. Yet when Zbigniew Brzezinski called for breaking up Russia into three separate entities in his 1997 book The Grand Chessboard, he met with nothing but praise. The growing hysteria of Snyder and his ilk is further evidence of a deepening radicalization. His vision of a Russian threat extending all the way to Lisbon is the perfect complement to the Russian fascist Alexander Dugin’s concept of a totalitarian state stretching along Eurasia’s entire northern tier. One foresees an expansionist Russia pushing steadily to the west and the other an expansionist Europe pushing steadily to the east. Less than two years later, the Holocaust began in precisely the part of Europe that was dealt with in the secret protocol of the pact. By 1945 almost all of the millions of Jews who lived in these regions would be dead. Stalin famously said that the Molotov-Ribbentrop pact was an alliance “signed in blood.” Much of the blood shed in the lands concerned by the agreement would be that of Jewish civilians. The pact led to the death of the six million, although precisely how is left unclear. But the argument is spurious for the simple reason that the Nazis would have slaughtered every Jew they could get their hands on regardless of whether the anti-Soviet war had started in 1939 or 1941. To be sure, Stalin made Hitler’s job easier by being so criminally unprepared. But so did FDR by delaying America’s entry into the war by a full 26 months and then repeatedly putting off the opening of a second front. Does that mean he, too, prepared the way for the Holocaust? What Snyder is trying to do here is get the Nazis ever so slightly off the hook. By “relativizing” Nazi crimes in this manner, he makes Hitler seem merely reactive while portraying Stalin as the prime mover. Since the two tyrants were morally equivalent, as he argues again and again in Bloodlands, Poles, Ukrainians, and others who aided the fascists were no worse than Jews who aided the Soviets. Either side contributed to what he calls an “escalation of both German and Soviet violence.” The lesson that growing numbers of East European nationalists take from this is that there is no point prosecuting Nazi war criminals until every last Communist is prosecuted as well, including those Jews who managed to join the Soviet partisans. Since they fought on behalf of a criminal regime, they must have been criminal, too. And if Jews persist in hailing them as heroes, then Ukrainian nationalists will feel justified in hailing Stepan Bandera as a hero as well. Based on Snyder’s “scholarship,” this seems to be the only conclusion one can draw. [i] Gabriel Gorodetsky, Grand Delusion: Stalin and the German Invasion of Russia (New Haven: Yale Univ. Press, 1999), p. 58. For survivors of the Holodomor, and their descendents, the notion that there are similarities between the murderous regimes of Hitler and Stalin allows us to begin to understand the horrors of Russian occupation of Ukraine. Such understanding was long suppressed by the Soviet account of WWII as the “Great Patriotic War”, as well as by Soviet repression. Over the course of the 20th century, we could barely talk about our suffering, let alone understand its causes, or seek some kind of reconciliation with its perpetrators. It is thus difficult for us to understand why certain groups are threatened by the fact that genocide was widely practiced during the 20th century, including by Stalin in Ukraine. Failing to recognize this fact undermines our capacity to recognize where and when it might happen again.